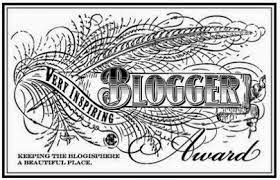 March 19, 2015 by Vinay Leo R.
AuraOfThoughts, by sisters Meenal and Sonal has given my blog an award (or two) at their post and asked me to accept and pass it on to 15 blogs I wish to pass on to. 3. I love music (the day is not complete if I’ve not listened to at least twenty four songs, one for each hour). 5. I am soft-hearted, and the softest of hits, if related to something I’m very attached to, can make me go into a dark space. 6. I talk to myself often (even on the road, thinking I’m not in reality but in dreams). 7. I find it very difficult to choose bloggers to pass on awards to.